HOTLANTA is here and I can finally wear my summer dresses without a jacket! I've been buying dresses for upcoming events, weddings, parties, etc., and have found so many great options! One of my favorite stores is Madewell, it's kind of a fusion of J. Crew and Urban Outfitters. They have a great store in Lenox Mall here in Atlanta! 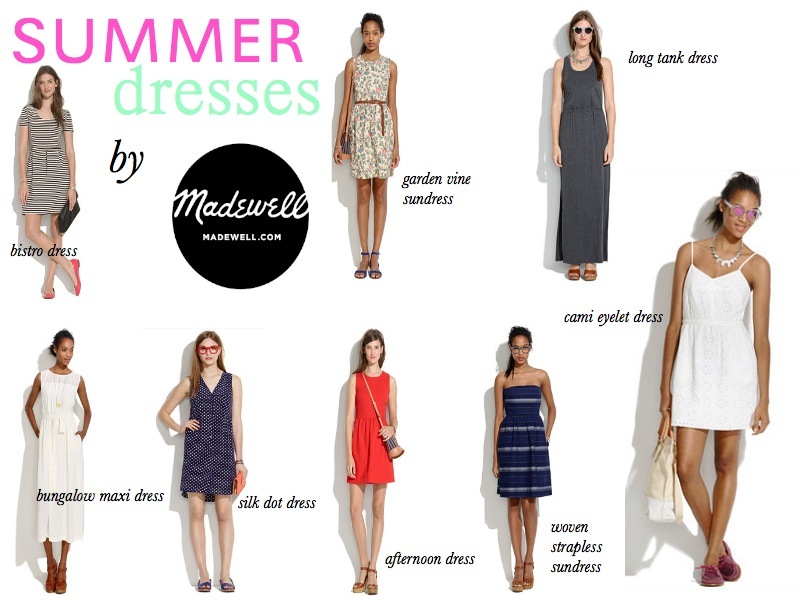 Check out some of my favorite summer dresses by Madewell! Another reason to shop at Madewell? Teachers and students get a 15% discount when they present their school ID's! Oh cool! I'll have to check that out while I'm at Lenox this weekend. Any place with a teacher discount is alright with me! I love Madewell but I LOVEEEE the student discount! Such a cute dress and your niece looks so happy! Have a happy Wednesday and be sure to check out my latest review :). I love that striped strapless one. The picture of you and your niece is too cute. What cute dresses. I may have to look through them to find a dress for my brother's wedding. Love that strapless dress and the one called Garden Vine sundress. I love your fun posts! Your summer dresses are so great, BTW, I like Pink Bodycon Dresses everbuying!